Here you will find all the information and documentation you need to arrange the stand you have booked at Flood & Coast 2019. This will provide details of what you need to do and when you need to do it and gives timetables for the event, build up etc. It will explain what to do with the remainder of the documents you can access here. Please ensure that you comply with deadline dates as we cannot be responsible for any omissions which do not reach us in time. 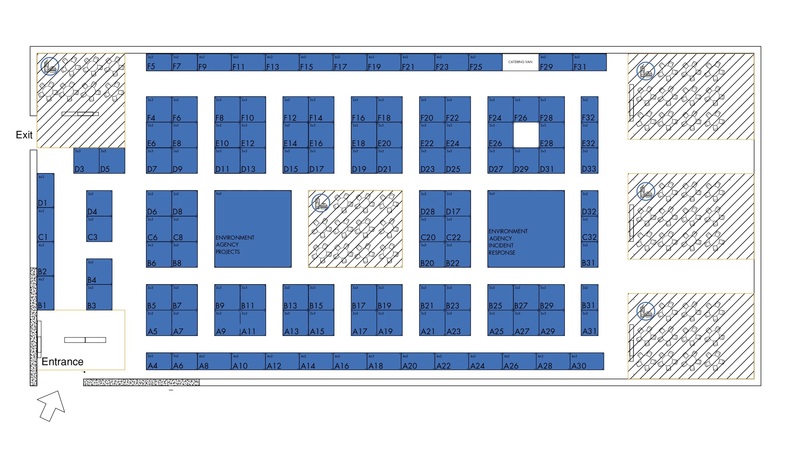 if you have booked a shell scheme package 1 or 2 and have a stand of 8 sq m (4m x 2m) or 9sq m (3m x 3m) – or multiples thereof – the stand plans with dimensions of the panels are below. Your stand contract specifies what is included in your stand eg carpet / power / furniture etc. Please contact us for details of the drawings, risk assessments and details we require to receive from you by 15th April 2019. On-site assistance with large loads. Our official shipping contractor is Ringo Logistics. Please contact them for a quotation for shipping your items. There are no storage facilities at the Telford Centre – please arrange removal of all boxes/cases etc. At an additional cost, Ringo Logistics provides a full shipping and warehousing service to exhibitors. It is a requirement that all exhibitor staff and contractors on site are familiar with the site safety regulations which can be downloaded here.